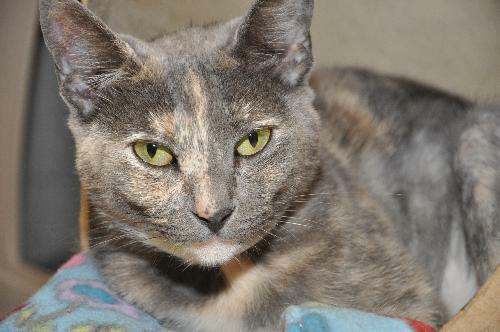 She's one of these, a dilute tortoiseshell. That means she is grey with a bad set of highlights and lowlights. (I'd avoid that hairdresser in future tbh ) Don't know what that says about me. I've just joined this forum but happy to see there is a bit of a pet section as well. I'm slave to 6 cats; 3 mogs, 2 NFC's and 1 Persian Cross. Love them all and have my happiest hours pootling in the garden, glass of wine in hand and being kept company by the cats. Look who I picked up today.